Rent The Mill at Fine Creek | Corporate Events | Wedding Locations, Event Spaces and Party Venues. Set in the heart of Fine Creek Mills Historic District, this spacious and scenic 10 acre setting awaits your perfect day or special event. Our facility can accommodate 150 guests for a sit down dinner and up to 225 guests for a cocktail/buffet reception. The 6,500 square foot handicap accessible building was designed with every one of your needs in mind. We can accommodate up to 225 guests and the building is complete with a large deck to enjoy the outdoors, permanent dance floor, full professional audio system capable of accommodating a DJ or a band, a generator back up, a private children’s room, bride’s chaning room and groom’s cottage. Three unique outdoor ceremony sites as well as an indoor back-up location are all available to you. 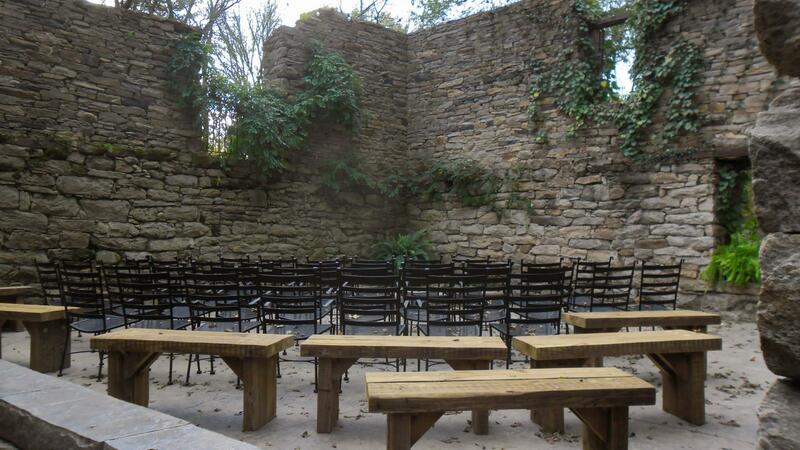 One outdoor ceremony site, the flagstones, as well as the indoor site are fully handicap accessible. White wooden folding chairs are included in our ceremony fee. Day-of, on-site coordinating is also available to ensure everything runs smoothly on your wedding day. Off-site coordinators are also welcome as are any vendors if not on our preferred vendor list.